Pedicure are expensive. Let’s be honest. I work full time, my husband works full time and I can STILL not afford to get one as often as I like. I mean, how awesome would it be to get one every other week, shoot, every week? I like to treat myself to some pampering-me-time about once a week. I don’t even leave my house to do it. 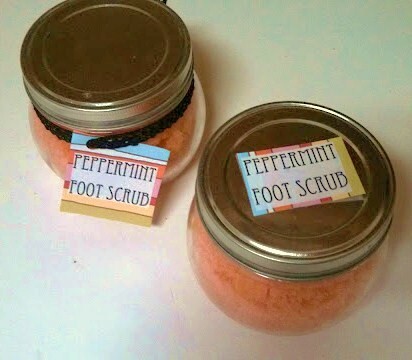 I give myself a nice foot soak and scrub and paint my toe nails. And that’s about all I have time to do or I just get super distracted. 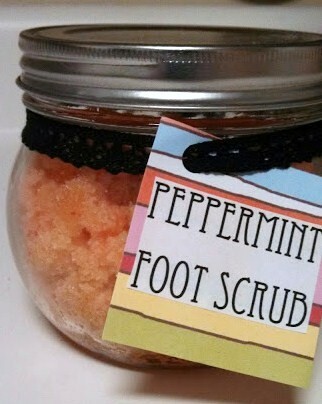 This foot scrub is not only soothing and invigorating but cost effective too. All you need is a jar, sugar, oil, food coloring, and some peppermint essential oil. Bam. Done. I used about two cups of sugar to start with. I guesstimated that based on my jar size. I added in olive oil to get it to the right consistency, you’ll know it once you feel it. It came out a strange yellow color because it was olive oil so I added a few drops of red food coloring. You can use mineral oil or coconut oil to not have a discoloration to your sugar. I added in enough peppermint oil to make it smell good but not too strong. And that’s it! Easy peasey.